Oh my gosh guys I can’t even tell you how excited I am to see the New ViV Collection Leggings Styles that just arrived! 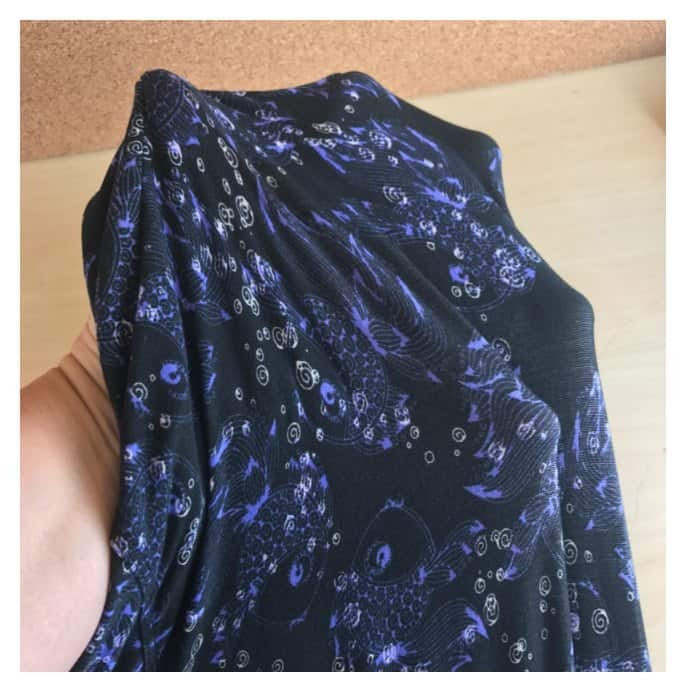 I know how much you all love these leggings because of the post I wrote earlier when I was Comparing Lularoe Leggings to Other Leggings. 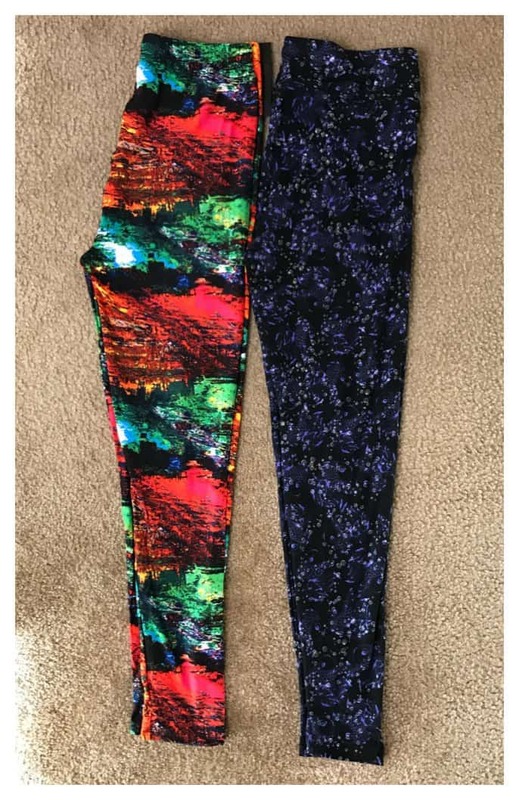 The ViV Collection leggings I found on Amazon were the closest feel and fit to the Lularoe brand as I pointed out in that post! I am excited to tell you that there are even more ViV Collection Legging Styles out NOW! I am in LOVE! 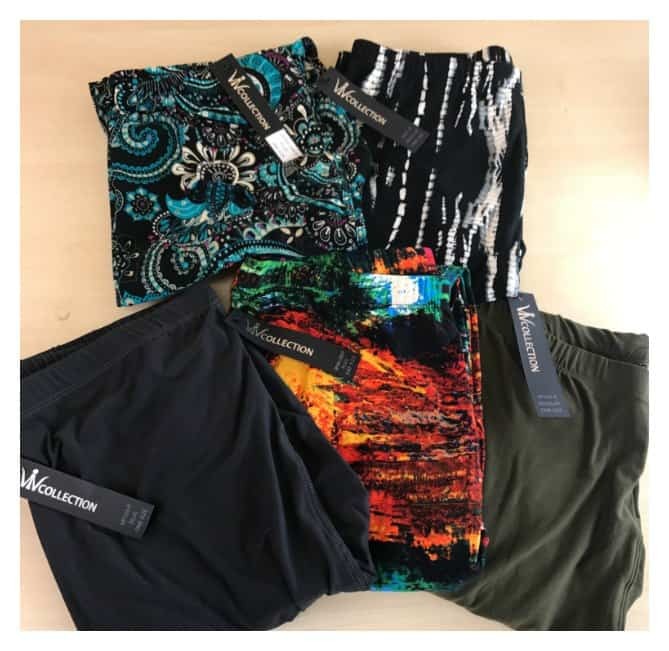 I think my favorite pair are the teal colored paisley print or the bright colors print called “natures.” The colors are vibrant and I can match it with many of the tops I own. 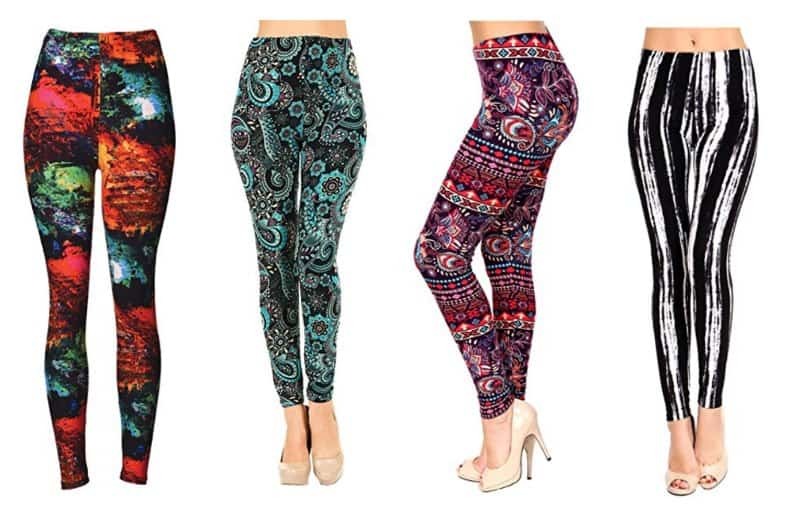 Head over here to see the new ViV Collection Spring line of leggings on Amazon. You will see a separate listing for the ViV Collection Plus Size Leggings here. There’s only one problem… When you get new leggings your daughters may try to raid your closet for these beauties! Be sure to order some for them too so you don’t have to share! 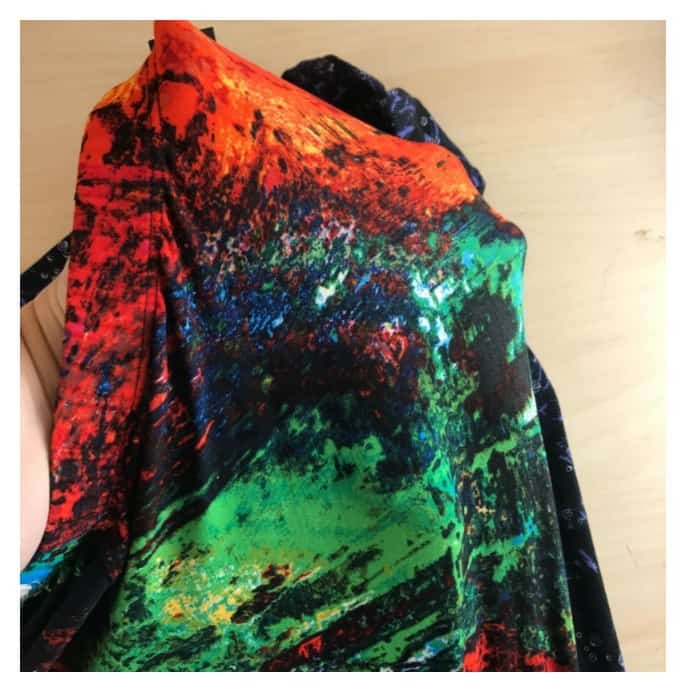 Here are a few updated photos comparing the ViV Collection (on the left) to the Lularoe Collection (on the right) below. This photo shows not much difference in the cut or length. These are the plus size ViV Collection and Tall and Curvy Lularoe. As I said in my previous review of the brands, there’s not much difference in the feel of the material at all. They feel exactly the same to me. One question that gets asked a lot is how about the stretch of both types of material. Can you see through the patterns? The answer for both brands is no. Here are two different photos of the material stretched equally and both are not see through at all. I do want to mention a difference in the waistband and feel. The ViV Collection brand has an elastic waistband. It holds your leggings up without fail. It’s a bit tighter feeling around the waist because of the elastic but is very comfortable in my opinion. In the photo comparing them below you will see it appears that the ViV Collection pair may be a bit smaller in the waist but that’s not really true. It looks smaller because the elastic isn’t stretched out. It gathers giving it the look it’s smaller but it really isn’t. 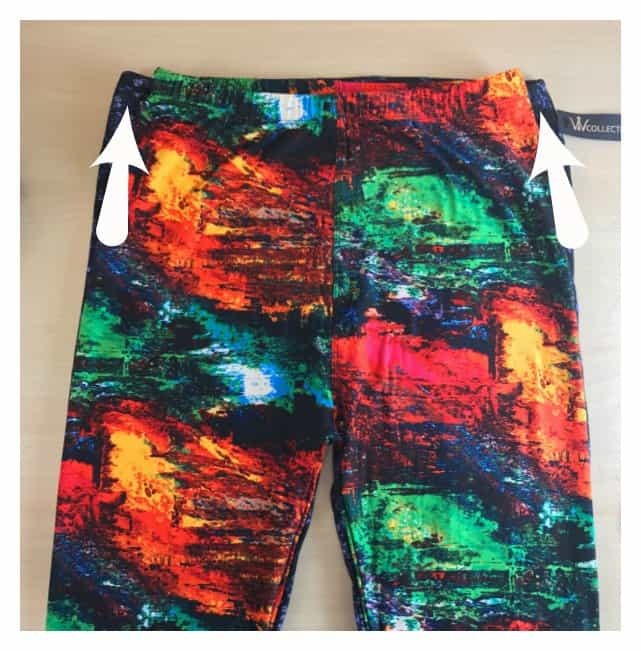 The Lularoe brand has a yoga type waistband with no elastic. It is also comfortable to me. Here are a mixture of plus size and regular size ViV Collection Leggings I just received! Aren’t they beautiful?!!! One thing I can say is that the ViV Collection brand is definitely a good price and much lower than Lularoe! Totally worth the purchase! By Jennifer on September 29, 2018 Deals.